The effect of Joko’s upholstered chair is one of soothing simplicity. This simplicity belies a long and deliberate design process and a rigorous production phase wherein every last detail is considered. Combine this elegance of form with its considered inception and you have one comfortable upholstered chair. The metal frame of the chair provides the structure with a sturdy skeleton that lends the body ideal support, while production technologies aimed at enhancing the chair’s ergonomics further refine your sitting experience. 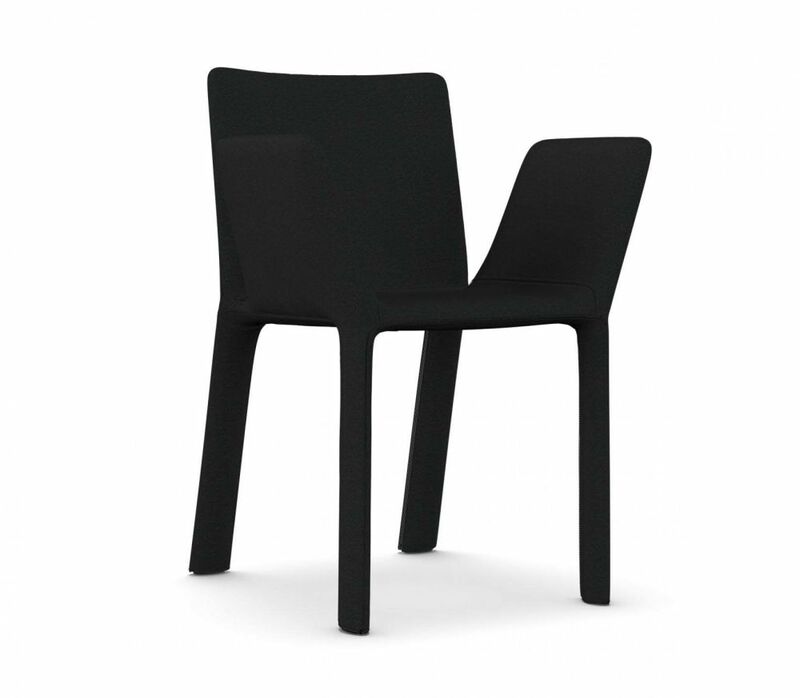 The base of the Joko upholstered chair is placed inside a mold and completely covered with a layer of polyurethane foam. The result is a chair that is soft to the touch and pleasantly rounded, but that maintains a striking profile. Joko’s upholstered chair is thus a beauty to sit on and to behold, with a sleek appearance that suggests lightweight and dynamic functionality. Chairs are offered in a variety of fabrics carefully selected by Kristalia to offer a range of possibilities to suit any room and personality. Important: zip on the back, except for Divina MD / Divina Melange 2 fabric.